Martwayne | Power Through Fashion: Now the Fashion Entrepreneurship Courses are Over... What Next?! Now the Fashion Entrepreneurship Courses are Over... What Next?! One of the most challenging but extremely rewarding projects of the year, The Fashion Entrepreneurship Course was developed to teach aspiring and practising designers the step-by-step process involved in starting a clothing line. 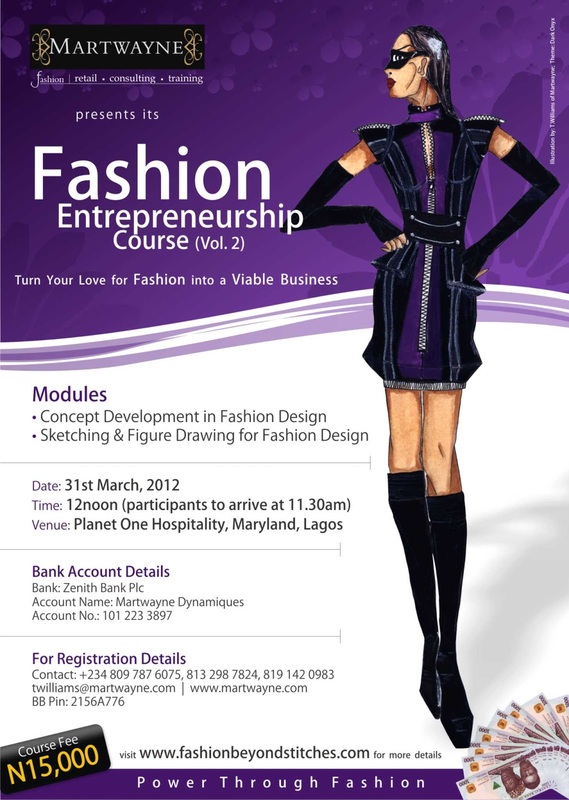 An extremely interactive training session, each of the 7 Volumes tackled the different stages involved in starting a fashion business, from developing a collection to setting up structures in the business. And boy was it HECTIC! But thankfully and taking each Volume as it came every month, we managed to pull off the Course... somehow... but definitely with God's grace. 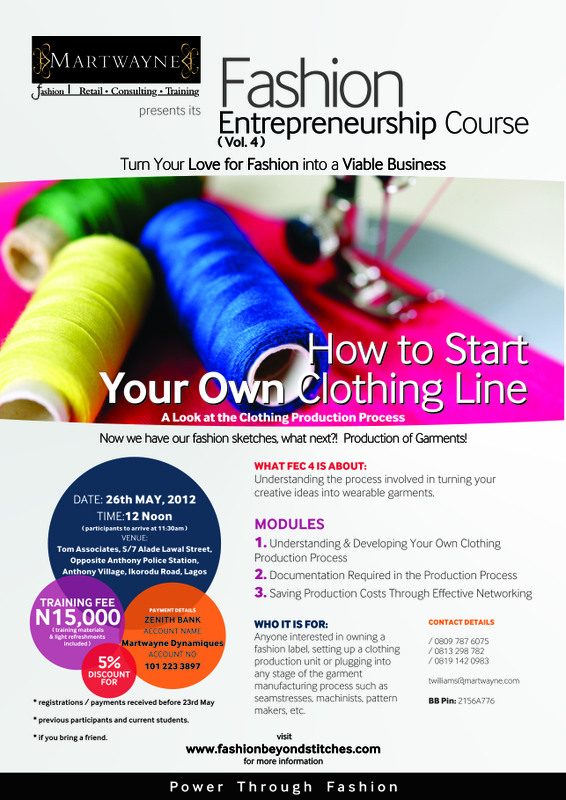 So now that the Fashion Entrepreneurship Courses are over, the next question is "What happens next?!" Since we concluded the FECs, we have received messages from designers asking when the next FEC will hold.... or if it will ever hold again. My answer to this is YES. 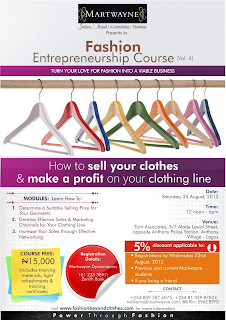 In fact, since we officially concluded the Course, we have had reruns of different Volumes. So here I am responding to the FAQs I have received on the FECs with my responses to them, just in case you were interested in registering for a Rerun. 1. What is a Rerun & How Does it Work? A Rerun is simply a repeat of any previous FEC. It's very easy. 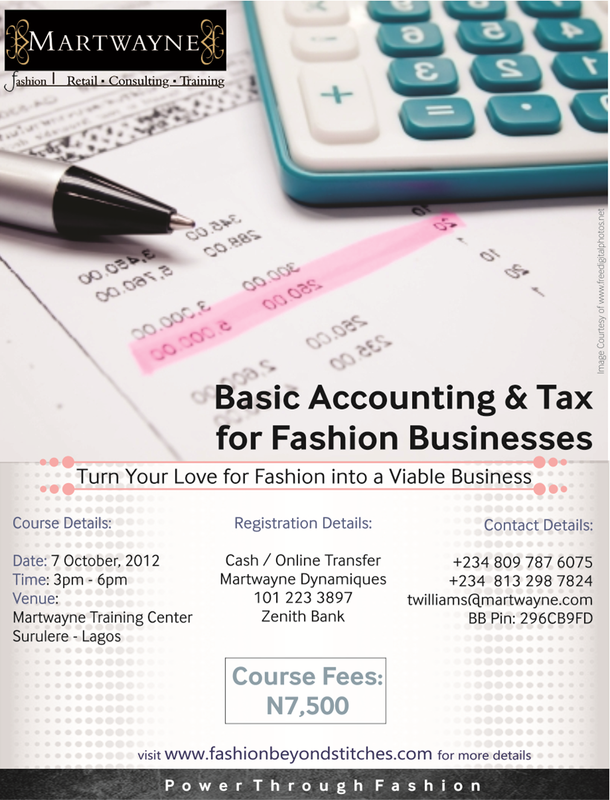 If you are interested in any FEC, contact us to request for a Rerun or repeat of the Course. Once we agree on a date convenient to both parties and have registered for it, we will publicize the new date in order to get more interested participants. For proper planning, we have decided to hold Reruns on Thursdays only or on available public holidays. So please please, keep Thursdays in mind when requesting for Reruns. 3. Why Can the Reruns not hold on Weekends? For now, since we are rounding up for the year and have the practical courses to complete, we will be unable to reserve a Saturday like we used to. And our Sundays are completely reserved for our rest. Working a 6-day week is not an easy task at all. 4. How Do I Register for a Rerun? Simply pay the registration fees into the "Martwayne Dynamiques" Account, 101 223 3897 at any Zenith Bank branch. Once payment is confirmed, you are good to go. 5. How much does a Rerun cost? For now, with the exception of FEC 3 and FEC 7 which cost N12,500 per Volume, the rest of the Reruns cost N10,000 per Volume. FEC 3 and FEC 7 cost more because they are different Courses merged into 1 Volume. If you are, however, interested in just one of the topics, e.g. 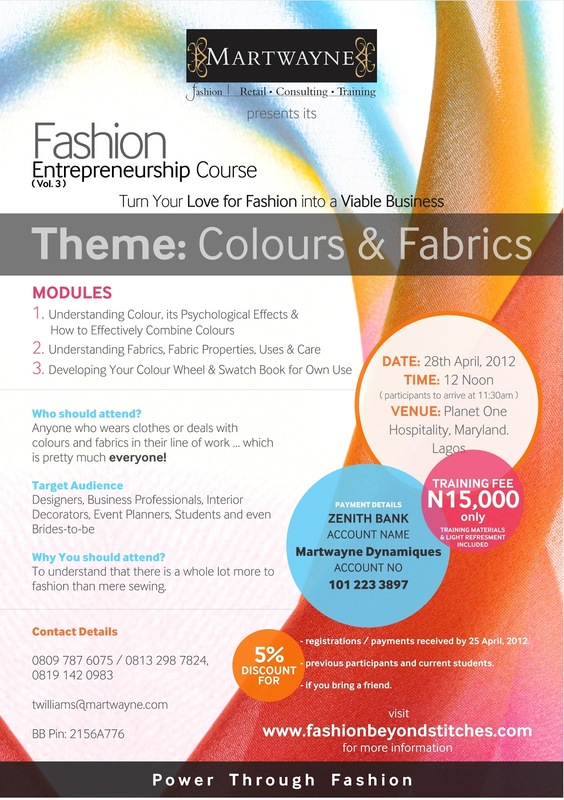 Colours or Fabrics (FEC 3) or the Legal & Administrative or Accounting & Tax (FEC 7) only, the fees are N7,500. 6. Are there any discounts available on the Reruns? 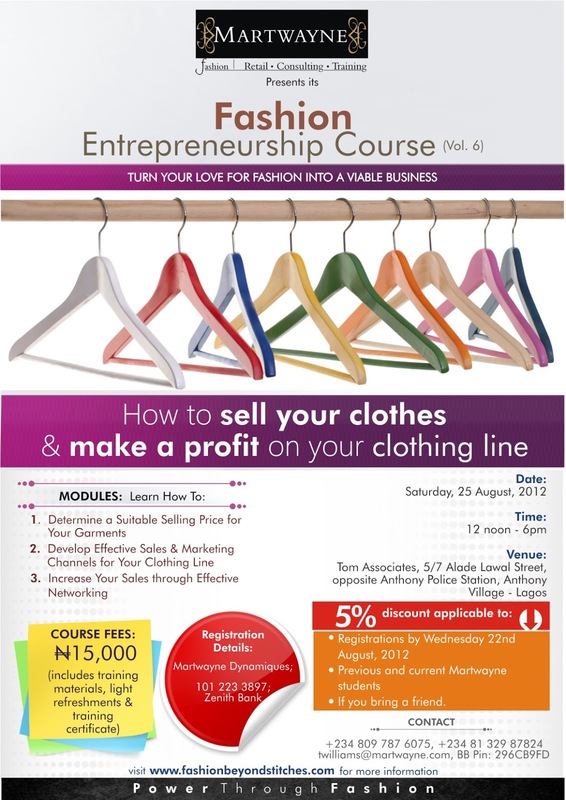 The fees are already discounted as the original FECs cost N15,000 per Volume. 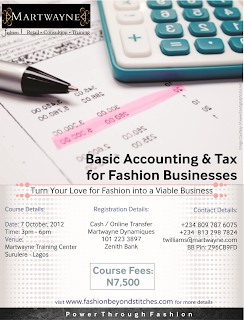 Since the trainings will now be run in-house, we have been able to save on some costs, hence the reduced rates. We will, therefore, be unable to offer additional discounts. 7. Where will the Reruns hold? So far, the previous Reruns have held in our Training Center in Surulere, Lagos.... and we don't see that changing anytime soon. 8. Any plans to hold the FECs in other parts of the Country? For now no. The cost implications are too high. We have tried it and decided that until we have confirmed registrations, we will stick with Lagos and find other means of reaching the other locations. 9. So what's next after the FECs? Any more Courses? 10. So what is Martwayne up to now? Well... we are still running the Foundation Course and are halfway through the new level. We have other projects we are working on and you will hear about them in due time. 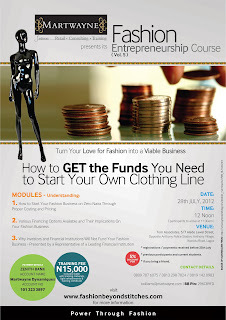 For now, the only courses running are the FEC Reruns and our practical Foundation Course in Fashion Design and the Basic Course in Pattern-Making & Garment Construction. We will probably run one more stream before the year runs out. Great! There we have it! And that's all we have to say about the FECs for now. I would like to use this opportunity to thank all the participants who registered for the Courses, especially those who came in from outside Lagos. 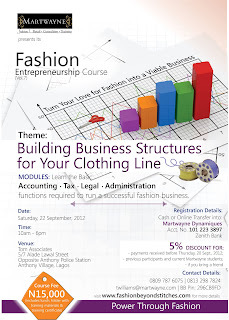 We really are grateful you registered for our courses and really do appreciate the time, efforts and funds invested. We hope you have been able to apply what was taught at the FECs and hope you have restructured your businesses and also saved on your costs and maximized your profits. 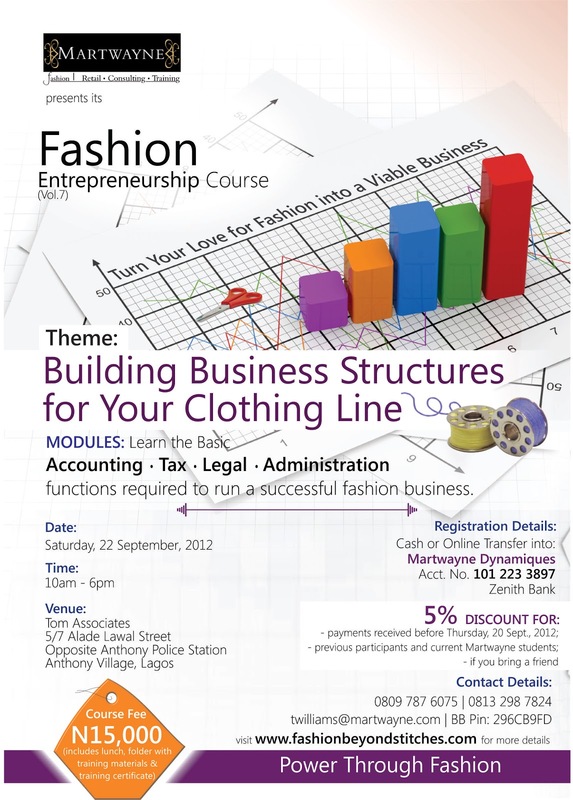 I would also like to thank the following guest facilitators who shared their wealth of experience with our industry.. The information and knowledge shared was priceless and we pray that what you have invested in us and the participants would be manifested a million times over! FEC 7: Seun Ajayi of KPMG Professional Services. To all who publicized the FECs, either by forwarding my broadcasts and e-mails or by informing your friends. Thank you so very much! God bless you plenty!!! To those who went the extra mile by updating your blogs with the information on the Courses for free, God bless you loads as well. We really are very grateful. To my staff and support staff! What can I say?! I could not have done this without you guys! You indeed were the very best and yes it was tough, but you stuck with it without complaining and I am indeed very grateful. To my friends and family who gave me various loans to pull off the Course, wow... I'm sure you are tired of me thanking you but I cannot and can never stop! Thank you SO VERY MUCH!!! You are forever in my history books. And to those who lent a listening ear, it really came at the right time. Thank you for the words of encouragement. And above all, thank you God for making this happen. Without You, there would be no us. It's just that simple! And I know and continue to tell everyone who cares to listen that it was not me but we made it happen simply by God's grace! And we come with an extremely grateful heart to thank Him. Excellent! Thank you all for your support and for following the blog! I look forward to you registering for the Reruns and our other Courses. PS. The Basic Course will most likely begin in December as well as the final stream of the Foundation Course for the year. Details will be available once all is set! I should be able to start taking courses next year, hopefully from january but I'm not quite clear about "the practical Foundation Course in Fashion Design and the Basic Course in Pattern-Making & Garment Construction". I'd like to know if it's a part of a series or its like the FEC, with its own sub topics. if its s part of a series, I'd like it if you can post the other topics in the series and if it jas subtopics I'd appreciate if those can be put up too. something like the FEC 1 to 7- that kind of a list. Thank you. continue the great work. Please make a book soon. soft copy and hard copy. something that is modified for our environment and other environments like it. so we can at least learn the things that we can just read. 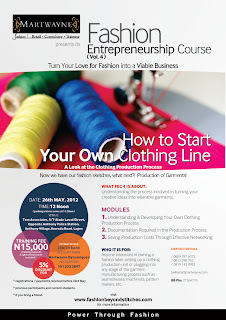 you can also make a dvd series for the courses. that way, people that can com for the FECs can have it sent to them or get them from a particular point of purchase. though their will be some courses I assume will require physical presence. My talk can be much sometime, pardon me but I really love what you're doing. I hope to see u soon. i love what you do....been looking for something similar to this in naija for the longest time...it's just so disappointing that i'm no longer in the west, now in P.H. I'm so interested in these courses, it hurts to imagine not being able to jump at the opportunity straight away. 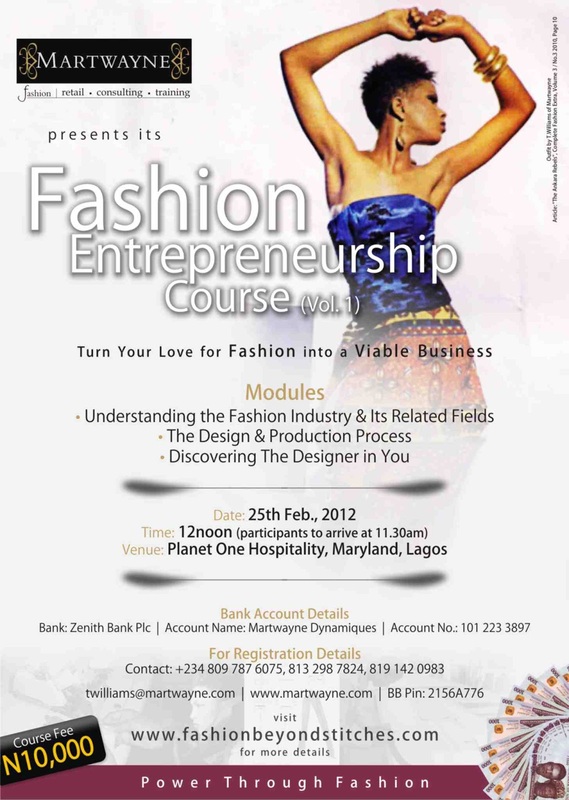 If one enrols for the whole FEC courses, how long will each course take, do the courses run simultaneously? Will there be a discount? Is there anything like this in Port Harcourt? Been looking for this for a while now...fingers crossed for good news! Thanks.